I like to cook and eat healthy meals. 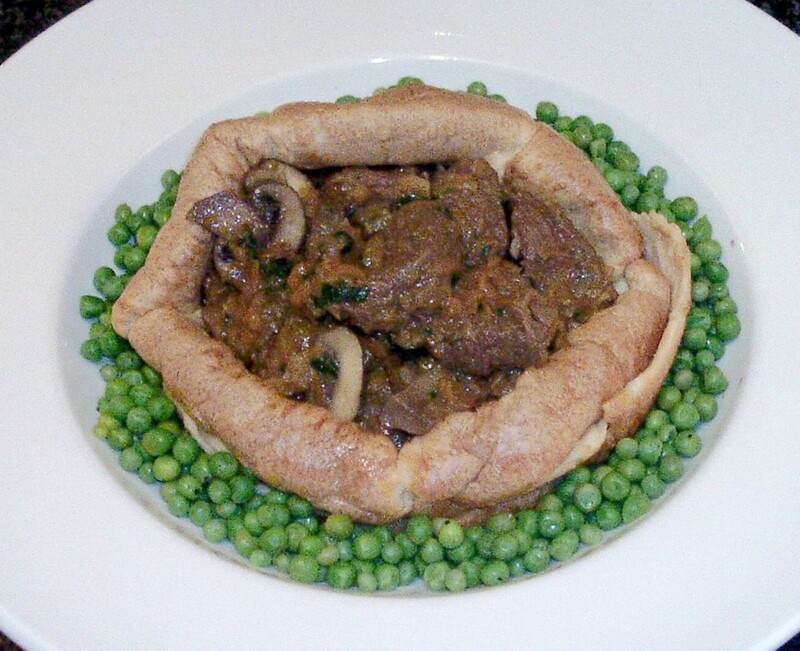 I often experiment with creating enjoyable recipes that are tasty and nutritious, such as this one. The recipe that follows this intro is for health-conscious people who care about their mind and body. As I get older, I have become more conscious of what kinds of food I eat. I’m not a vegetarian, but I do include a plant-based diet at least twice a week. I notice many of my friends having trouble maintaining their health. I know two overweight people who already had surgery to control their hunger, when changing the types and quantity of food they consume would have been a healthier and safer solution. After all that research, I began making meals from beans, all kinds of beans. After many repetitions, each time with modifications, I ended up with an easy to follow method of cooking a healthy bean stew. 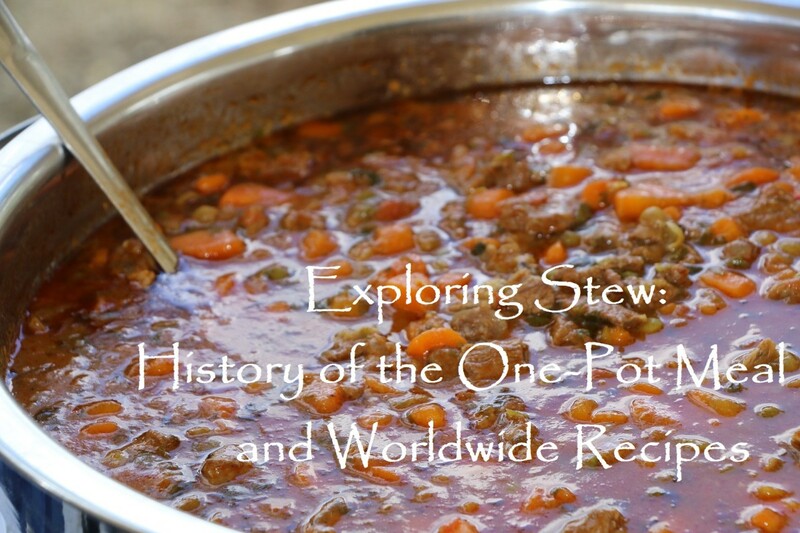 Sometimes I make rice or potatoes to go with it, but it’s just as plentiful as a stand-alone stew. Beans are Legumes, which are good sources of fiber, protein, iron, calcium, zinc, and the B vitamins. When I had my last annual physical, both my cholesterol and triglycerides came down a lot. I have high blood pressure and that improved too. My doctor said it had to be due to my dietetic changes. I have this worked out to a three-step process that takes three hours from start to finish, but you don’t need to slave over the stove all that time. The actual prep involves less than 45 minutes and is done during the simmering process in step two. I use a six-quart pot and I make enough for three or four days. I freeze the rest so I don’t need to spend time cooking every day. If you have a smaller pan, adjust accordingly. For the beans, you can use any type you like. I use dry beans and I usually include a combination of pinto, black beans, black-eyed peas, kidney beans, and great northern. I don’t use canned beans since they have chemicals and preservatives added, plus a lot of sodium. Canned beans are also more likely to cause gas because they're not cooked in a way to remove the gas-producing enzymes as I describe below. Stay healthy and avoid all that bad stuff by using dry beans. Bring beans to a boil and soak for one hour. Then rinse. Simmer in fresh water 45 minutes while preparing veggies. Chop up a half green cabbage, two cups of chopped celery, two cups of carrots, plus half an onion. Add all ingredients and simmer another 45 minutes. Measure out three cups of mixed beans. Rinse and then fill water 1 inch over beans. Bring to boil and then shut off heat and let sit for one hour. Pour out the water and rinse beans under running water until clear. If you plan ahead, you can soak the beans overnight in cold water. However, my method works just as well, bringing them to a boil and soaking one hour. Either way works well. Just remember that you need to drain that water you soaked them in and complete the cooking in fresh water. 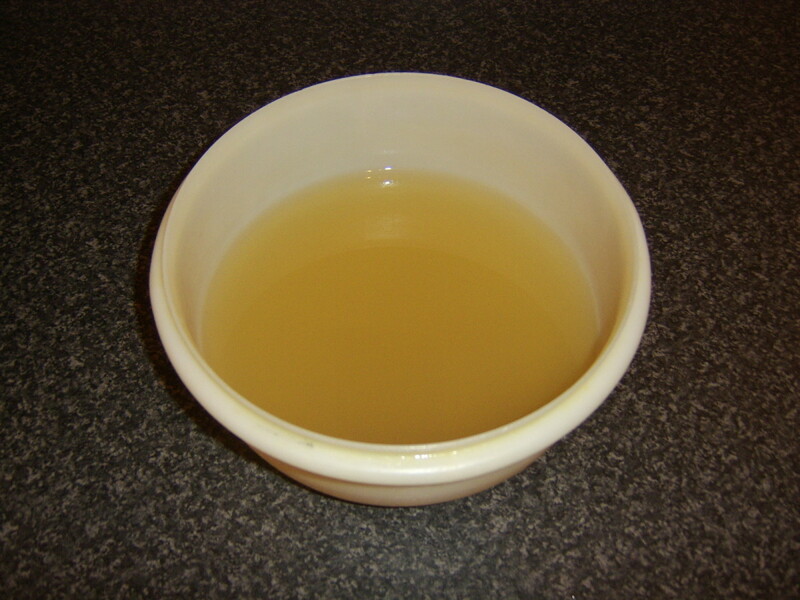 Properly soaking and draining helps remove the gas-producing enzymes. I'll explain this in detail later. After rinsing beans, add 10 cups water to the beans and bring to a boil. Then reduce heat and simmer for 45 minutes. While simmering, prepare all the vegetable ingredients. Chop up celery, carrots and onion. Prepare enough so you have two cups of chopped celery and two cups of carrots, plus half an onion. Chop up a half green cabbage. 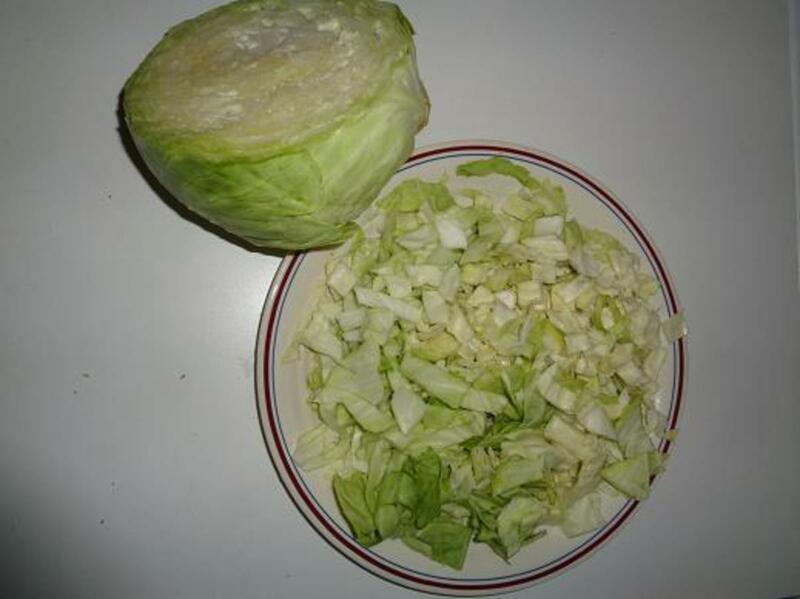 You may want to use a little more than a half if the head of cabbage is small. You can adjust all the ingredients to your desire, especially after you've done this once or twice. There are no hard and fast rules. 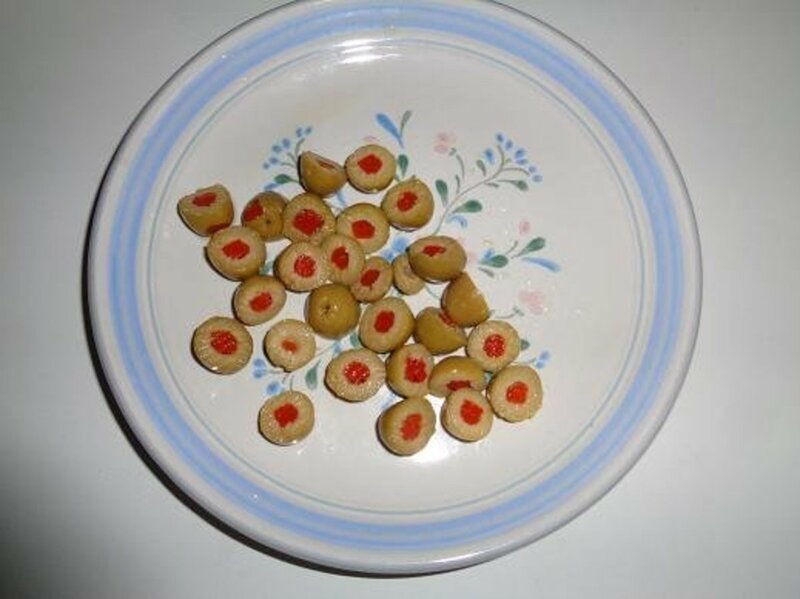 Cut a few green olives in half. Also mince two cloves of garlic. Optionally, you can use garlic powder or none at all (your choice). Feel free to try various alternatives. Sometimes I like to add kale as well. Kale needs to be chopped up into small pieces. Use less cabbage if you're adding kale. Add all the veggies, cumin, cayenne pepper, and basil (see below - left) to the beans. Mix and add more water if necessary to cover everything. Increase the heat just to bring back to a simmer and then reduce heat to continue simmering for the final 45 minutes as shown below - right. During this last step while simmering, you can cook either rice or potatoes to go with the stew once completed. Sometimes I eat it alone since it’s so substantial by itself. There are a lot of choices and you may come up with your own serving ideas as you try different things, just as I did. How well do you like it? Plant-based foods are a good source of antioxidants, which may help avoid cancer as reported by the Mayo Clinic. The carrots provide Beta Carotene (an antioxidant) as well as vitamin A, which is known to be good for eye health. Kale contains Lutein and Zeaxanthin, which have been reported to slow the development of macular degeneration and cataracts. It may also help fight other diseases and some forms of cancer. Black Beans are a wonderful source of Vitamin B1, Thiamine. They contain about 28% of the USDA recommended daily allowance. Deficiency of vitamin B1 has a negative affect on the nervous and circulatory systems. Extreme deficiency of vitamin B1 can lead to development of Wernicke-Korsakoff syndrome, which results in severe fatigue and degeneration of the cardiovascular, nervous, muscular, and gastrointestinal systems. On the other hand, over-consumption of vitamin B1 is unknown. There are two ways to prepare dry beans. Soaking overnight or boiling for one minute and then letting it sit in the hot water for an hour as I described above. 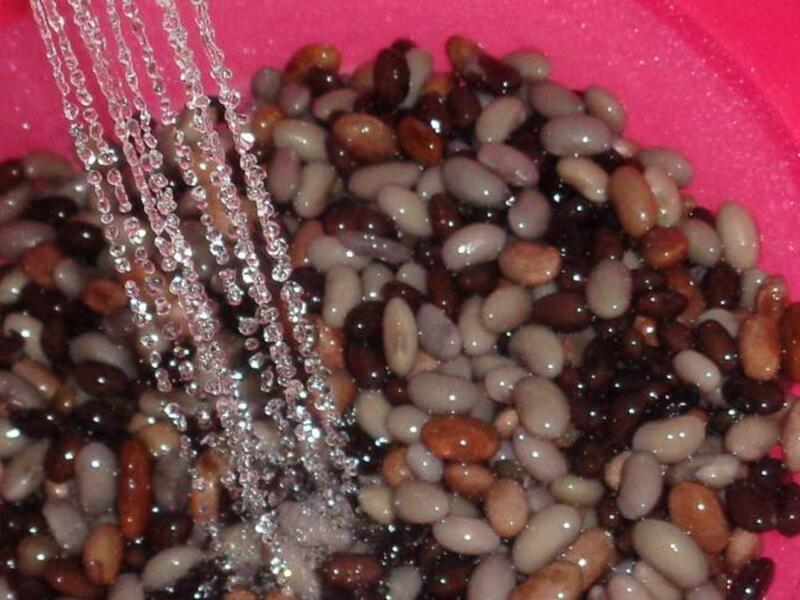 Soaking loosens the skins of beans and releases the gas-producing enzymes (oligosaccherides). 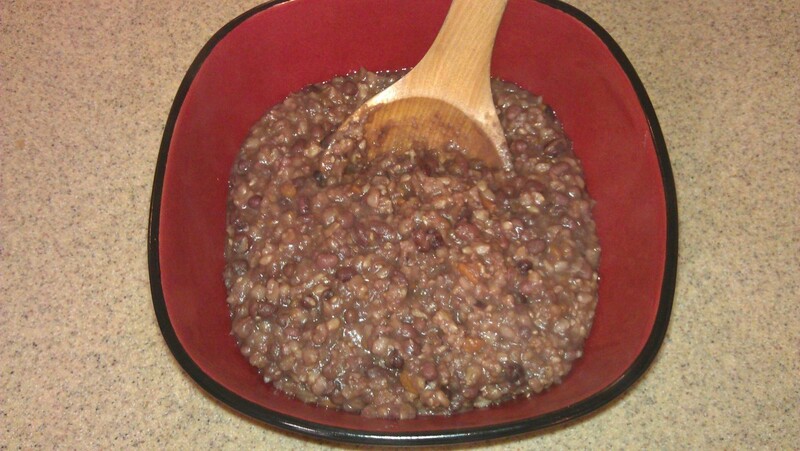 The initial water used for soaking should be poured out and the beans rinsed before continuing the cooking process. Different beans have various amounts of gas producing enzymes. Beans that are seeds from the pods of plants and are easier to digest and leave no gas if prepared correctly as above. Known as Legumes, some are pinto beans, black-eyed peas, black beans, and mung beans. Navy beans, kidney beans, soy beans, green and yellow split peas, and chick peas are somewhat harder to digest and can cause more gas. If you include them, soak them longer. As I mentioned before, canned beans are more likely to cause gas because they're not cooked the same as I described above. I only use dry beans. Note that most of the sodium is from the 1/2 cup of green olives. If you leave out the olives then you'll reduce the sodium of one serving to only 48 mg instead of 255mg. CatherineGiordano - I don't recommend canned beans. They tend to cause more gas, which can be avoided when you properly prepare dried beans. Canned beans also contain a lot of preservatives and sodium that defeat the idea of healthy eating. Sounds very healthy and delicious. 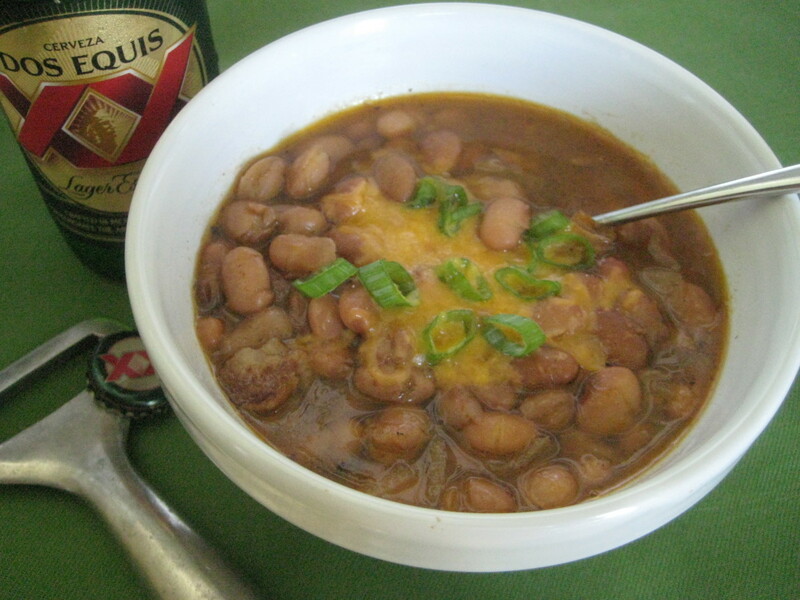 I used to cook beans from scratch, but as I got older, I got lazy and now used canned beans. I might try adapting your recipe for canned beans. Kyriaki Chatzi - Your positive thoughts on my Bean Stew mean a lot to me, especially since you are a passionate foodie who appreciates healthy and enticing recipes. Thank you! Laurinzo Scott - Correct on all counts. Let me know how it turned out when you make it. Enjoy. colorfulone - I'm glad you plan to try dry beans instead of canned, Susie. I think you'll find you like them better. You'll avoid the salt for sure, since canned beans have a lot added. Canned beans also are not presoaked and drained properly to remove the gas-producing enzymes. Enjoy my bean stew when you get around to it. Well, you have turned this recipe hub into a detailed teaching opportunity, Glenn. I love beans and admit that I have gotten into the habit of buying them canned, not a good idea. You convinced me to order a supply of dry beans that I have been delaying doing. You recipe sounds very good, I love all those ingredients and the combo must be great! Chatty Chat - When you buy dry beans, they are even cheaper than canned beans. And the dry beans are healthier since they contain no sodium. This looks yummy. It's both healthy and affordable. Beans aren't expensive. 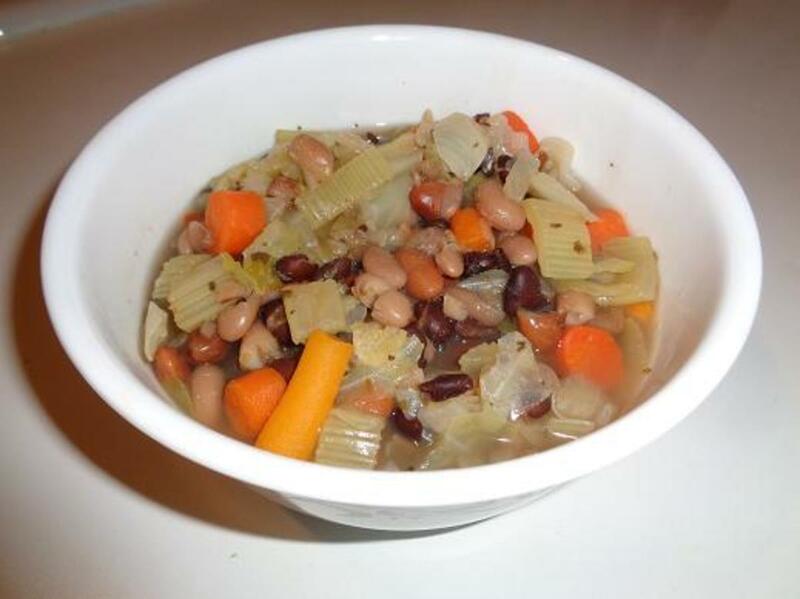 Nell Rose - Thanks for your feedback on the looks of my bean stew. "Looks" has a lot to do with how people perceive the taste. And the various ingredients do make it delicious. Thank you everyone for your comments and feedback. As several of you had said, beans provide a lot of fiber. It helps keep one regular. In addition, one serving of this recipe provides 24% of the daily required protein, something that vegetarians need to make sure they are getting. Looks good, I also eat bean soups, stews and bean salads. Lots of fiber in those beans, not to mention proteins as well. Looks yummy and has loads of fiber and protein too. Thank you for sharing! I like the option of bringing the dry beans to a boil, then letting them sit for one hour. That seems to cut down on the cooking time. You have recommended here that we drain off the original water, and put in fresh. That is something I will need to do, though. yeah I agree, as we get older, we need to eat different food from the rest, healthier food with beans. 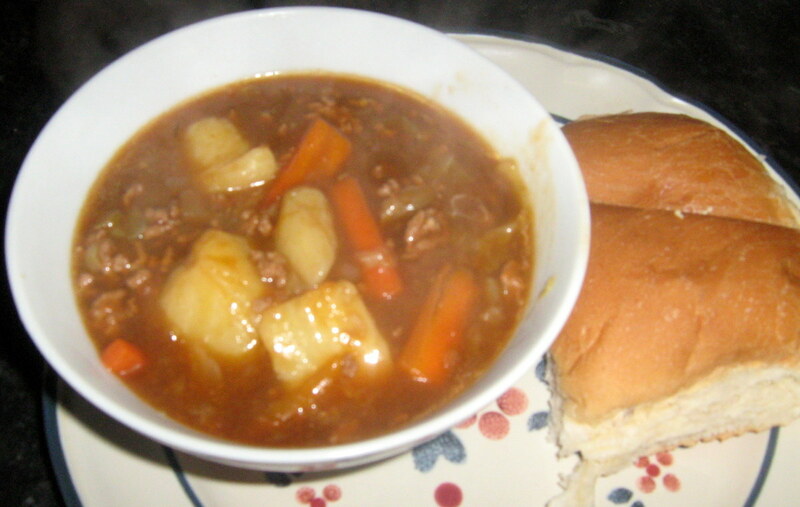 Very simple veggie stew you had made. This recipe looks delicious! 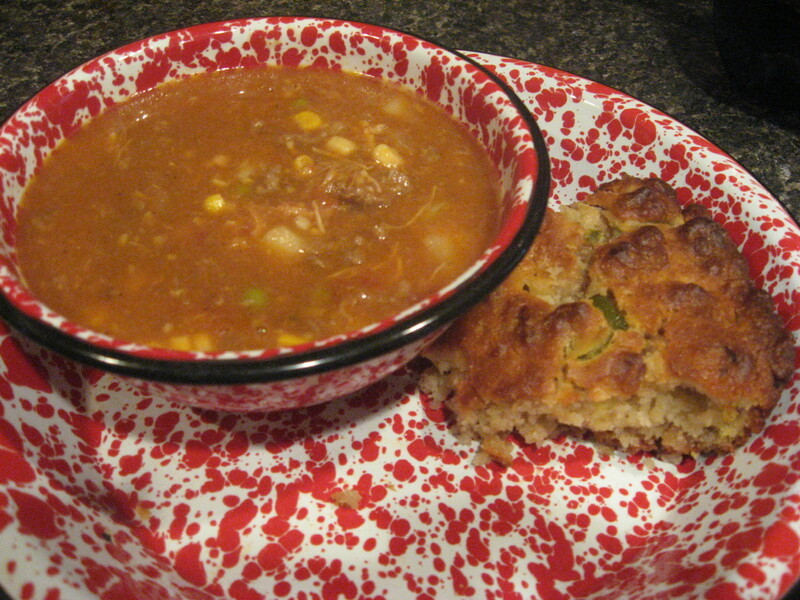 I make a bean soup that is very similar to this stew. 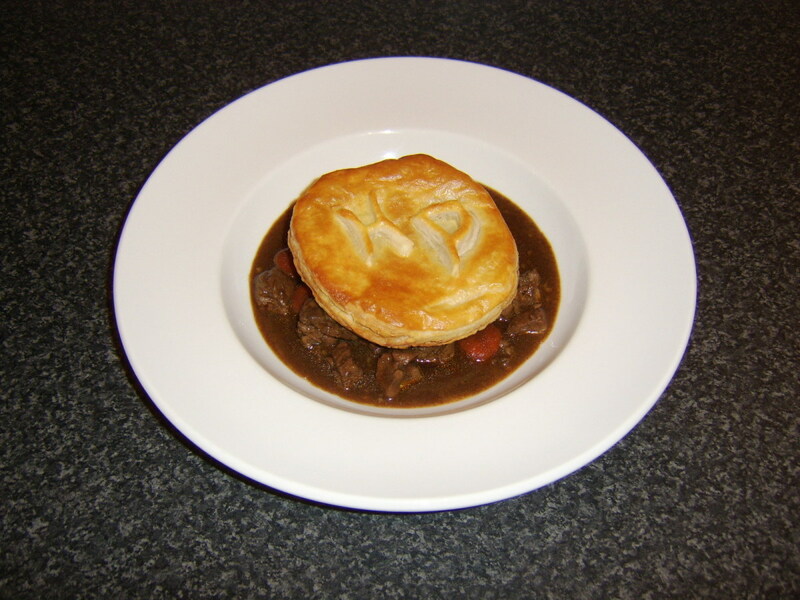 Thanks for the recipe and the information on the ingredients. Very useful!